Solar motion lighting is all the rage lately. With the convenience of being able to put a light anywhere without having to run wires or pay for electricity, and the low cost of these lights, the allure is obvious. Not all of these lights are created equal. This light by Cooper Lighting doesn’t stand up to the competition. Being priced near seventy dollars, you would expect it to be built to last, but the weatherproofing leaves much to be desired, as does the battery lifespan. I’m a big fan of halogen for outdoor motion lighting. Halogens put out a lot of bright, dimmable light, but that is when they are connected to the grid. Where power is scarce, LED is king. If I were buying a flashlight, I wouldn’t get a halogen, because I’d want the batteries to last a while and not take up a lot of space; solar motion lighting is the same issue. Lets compare this Cooper msl180w light to a LED toting competitor. 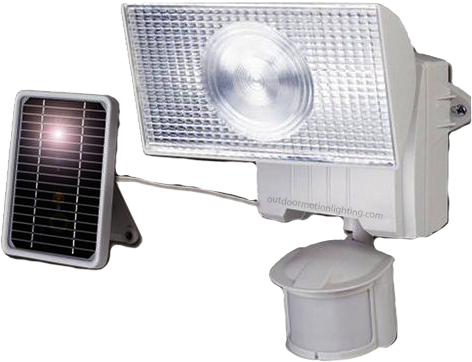 This solar Bunker Hill motion light uses 36 LED bulbs, runs on a small fraction of the power, requires a much smaller battery, has better weatherproofing, and is quite a bit cheaper. You also don’t have to worry about replacing a burnt out bulb. If you need a lot of light, run the wires. If you are willing to sacrifice some brightness for portability and efficiency, then stick with LED.